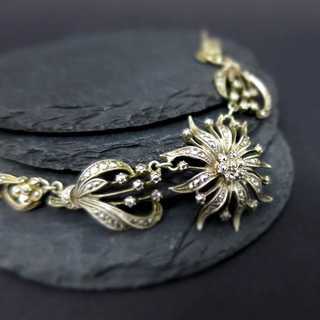 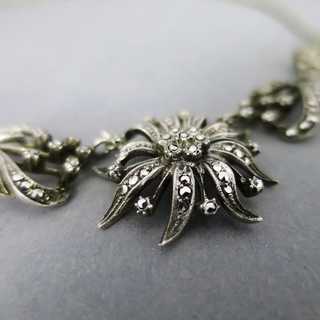 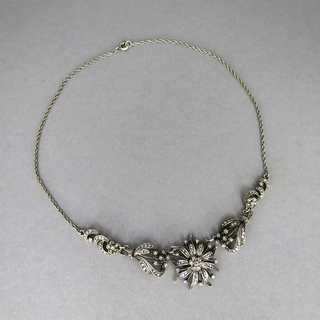 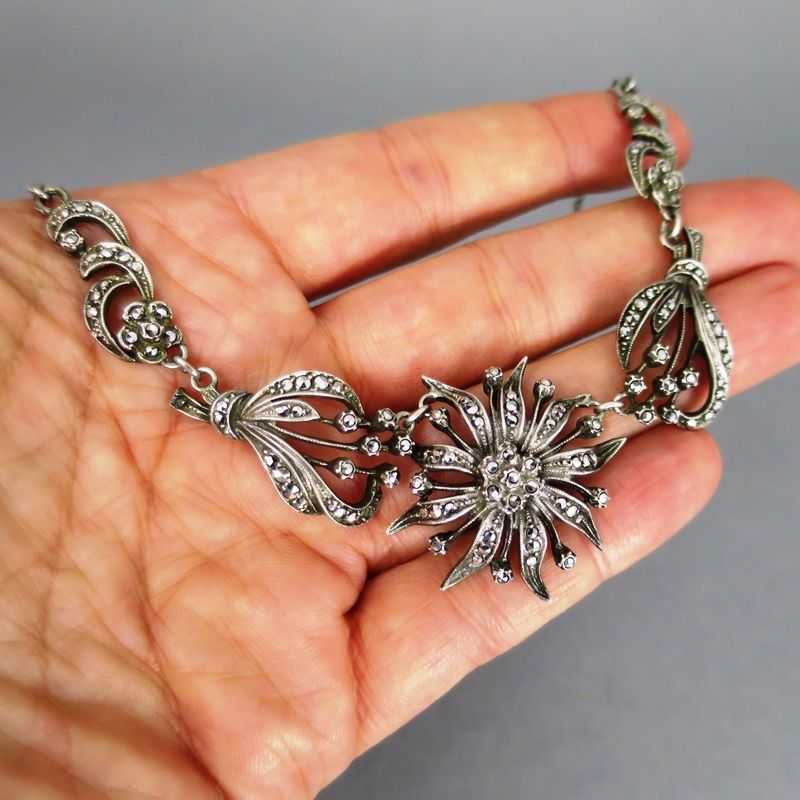 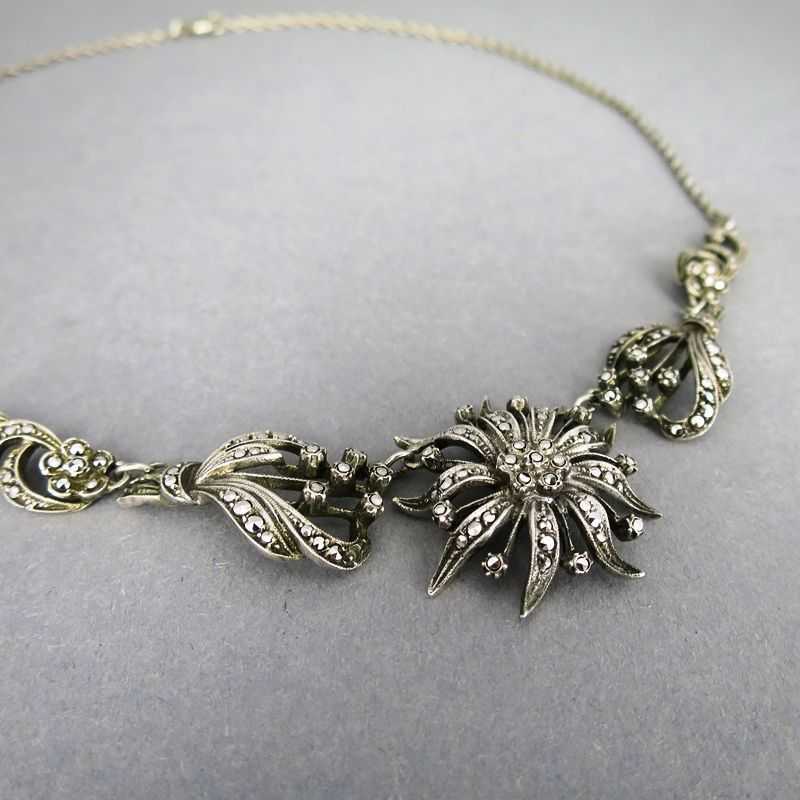 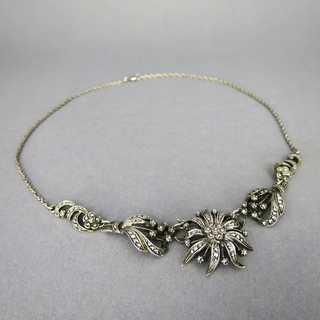 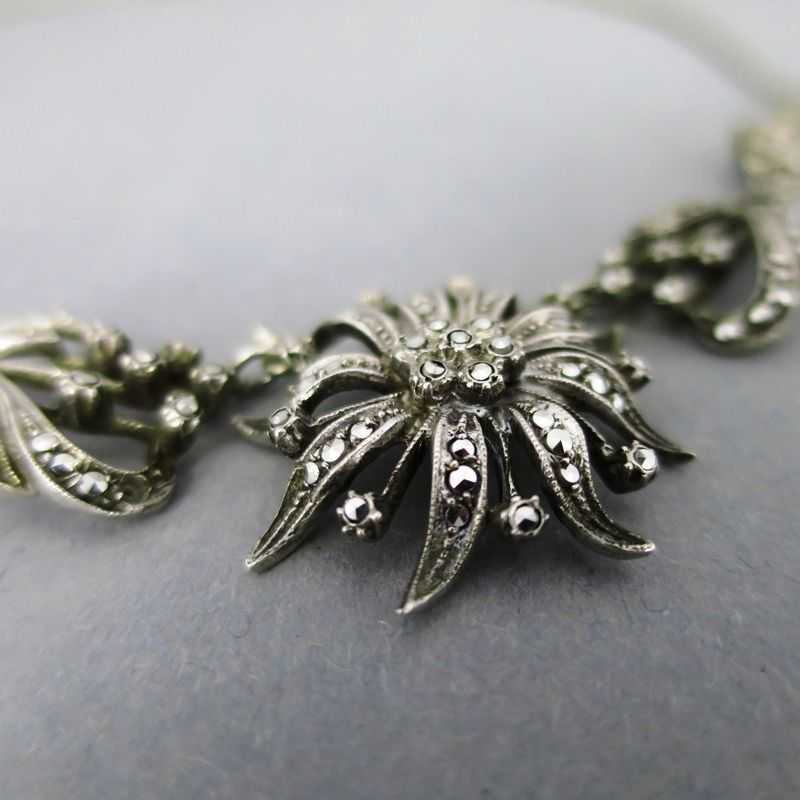 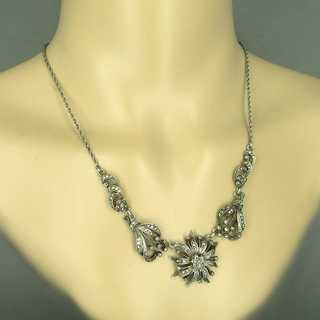 Beautiful german Jugendstil collier with floral design: rich open worked flowers, bunches and tendrils, filled with sparkly marcasites, create the front part of this piece of jewelry. 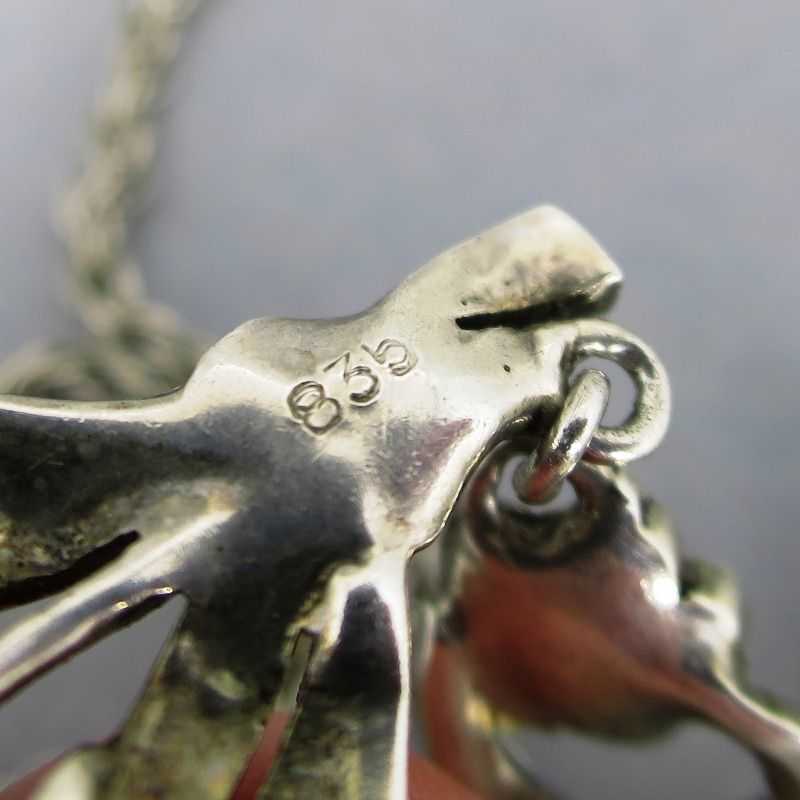 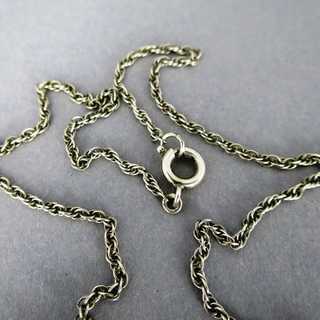 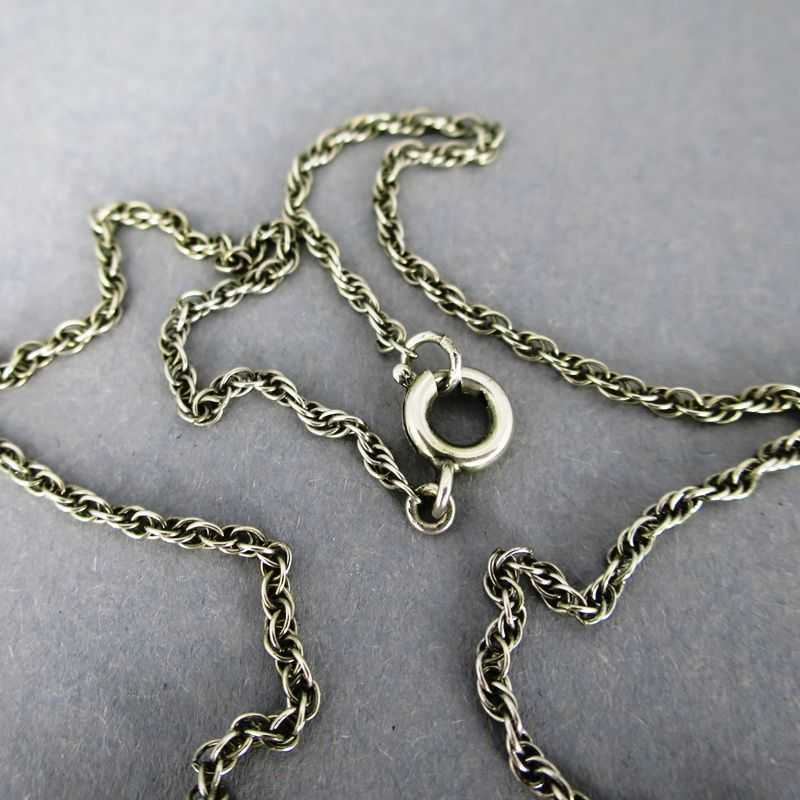 Hanging on a chain with spring ring closure. Created about 1920.